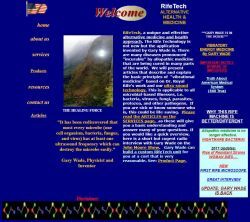 Gary Wade explains basic principles of "vibrational medicine"
RifeTech is a website by inventor and physicist, Gary Wade. He presents articles that describe and explain the basic principles of "vibrational medicine" based on Dr. Royal Rife's work and his ultra-sound technology. How Do We Rate Websites? 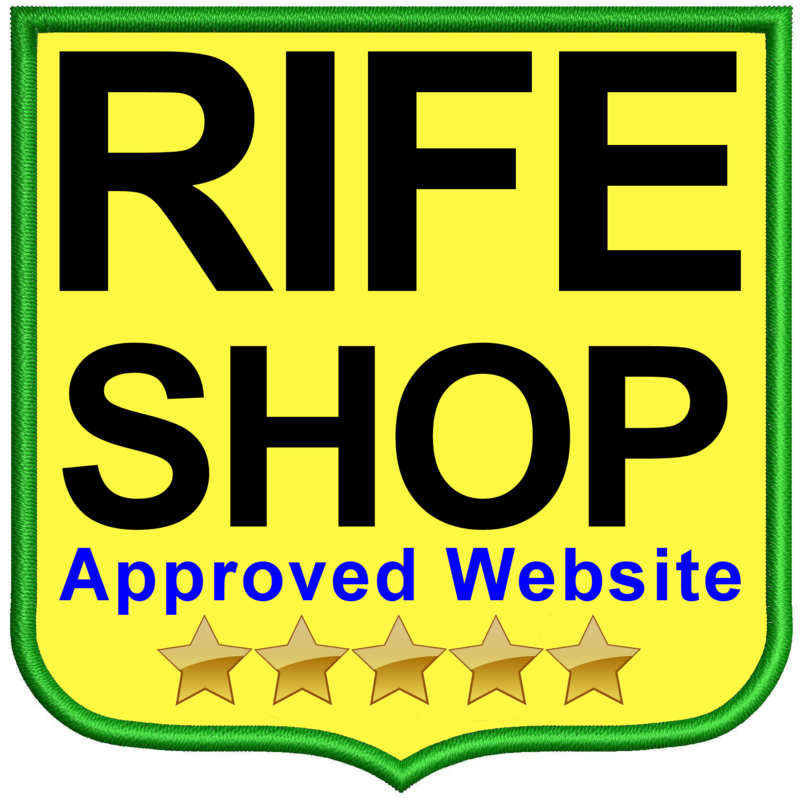 On this Rife Directory, we are trying to link to as many Rife-related websites as we can find. For each website, we look at the contents in order to determine which categories it belongs to, prepare a comment about the site itself and determine its ranking as explained below. We use this Google website to determine if a website is "smartphone-friendly". One Star is added for smartphone friendly websites. If you want to test how a website looks like on various devices, try this tool as well. We look at the content to assess how well maintained it is. We look for broken links, technical problems, etc. as part of the assessment. Some websites have not been updated for years - they are classed as static. If the website has major technical issues or has gone offline, that is mentioned, too. One Star is added for websites with no technical issues. Websites that ask you to enter personal information need to be secure. We check if the website works with https instead of http to determine if a secure connection is possible. One Star is added for websites with that use https SSL encryption properly. The Rife Forum has a number of forum sections that relate to specific websites. For example a specific Rife device might have its own section on the Rife Forum where you can discuss it with other users. If such a section exists, we link to it here. You need to be an approved member of the forum to access such sections. One Star is added for websites which interact with users and provide useful content on the Rife Forum. Is the information provided accurate and reliable. Are exaggerations made or misleading information found. Is the website up to date, or has it not been changed for years. How useful is the information on the website to visitors. Is it written in a way that is easy for novices to understand. Are more than one language supported. Is the website regarded highly by members of the Rife Forum. NOTE: If no ranking is shown, we have not yet ranked that website. 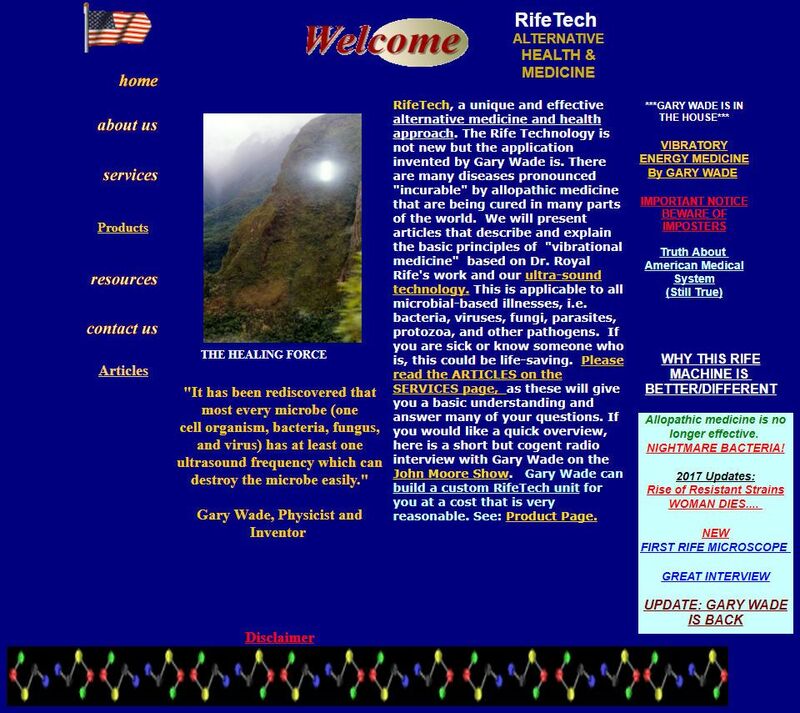 It is time to add YOUR Rife-related website! Do you have a Rife related website and want it listed on this links directory? Click here for full details! This website contains links to other internet websites that are beyond our control. The respective webmaster of those websites we link to, is exclusively responsible for the content shown. We therefore accept no responsibility for the contents of external links given on this website! Reference to any specific product, process, or service does not constitute or imply an endorsement or recommendation by this website. While we encourage visitors to suggest suitable websites to link to, we reserve the right to change any supplied text and/or refuse entries at our sole discretion. The authors of this web site do not engage in the practice of medicine; we are not a medical authority, nor do we claim to have medical knowledge. In all cases we recommend that you consult your own physician regarding any course of treatment or medicine. We cannot accept any responsibility for any actions made based on what is read on this or other sites we link to. The views and opinions of the authors of content published on this website, does not necessarily state or reflect the opinion of its owners, and cannot be used for advertising or product endorsement purposes.